It is my second winter in Scotland and I have found it a lot more challenging than the year before!! 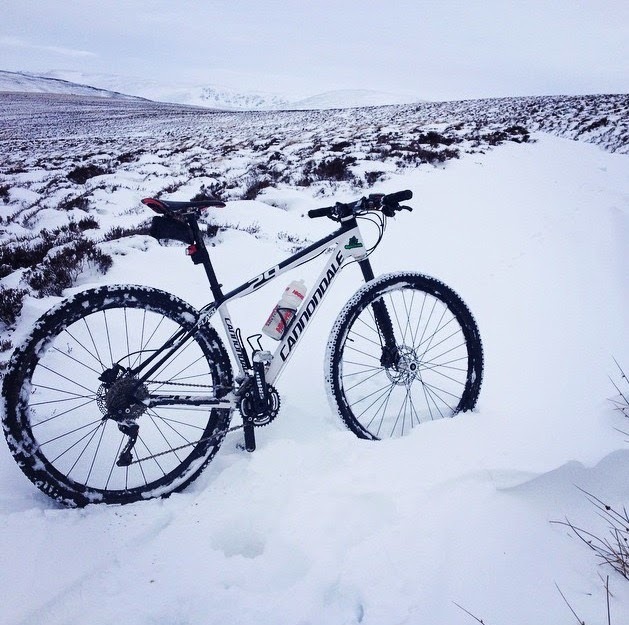 Temperatures have been a few degrees lower and snow made for interesting rides on the bike. Whilst last year I was stubbornly committed to not miss any training sessions no matter what the weather was doing or how I was feeling, this year I found myself pushing the “snooze” button a little bit more than I wanted to! To crawl back under my three sets of duvets was much more attractive than getting up and out in the dark facing Scottish winter conditions. I might have taken Nico’s words “winter is for sleeping” a little to literally!! Suddenly it was February and I found myself being far away from my race weight with fat in places I usually had none!! I trusted Nico’s plan though and a break from my own sometimes obsessive commitment to exercise had also turned me into a nicer person to be around. A fat bike might come in handy! 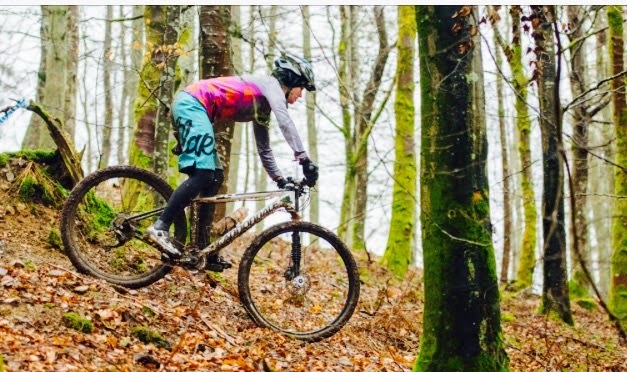 I have said it before but what I have enjoyed the most so far this season is becoming part of the Flare clothing Mountain bike team. 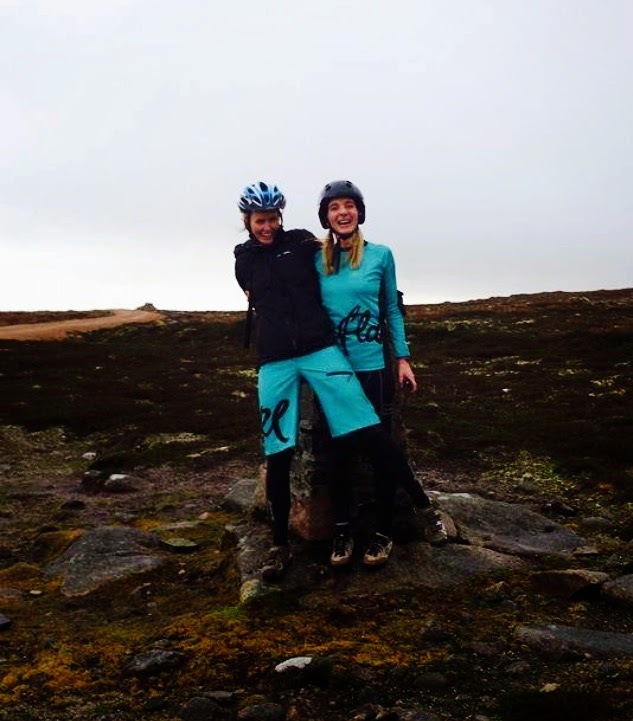 I met one of my fellow teammates Kath Simpson for a ride in Stirling and we ended up having a lovely afternoon playing on trails where she was giving me technical riding tips and I helped her with her fitness training. I had met Kerry Main, also one of the Flare girls a few months before and I was impressed with Flare’s founder Hanna Meyer’s ability to select girls who would fit so well together. We were having a blast! Having a little more experience than both Kath and Kerry I was able to help them out on the bike and give them some training and future racing tips. I loved being able to share the knowledge I had gained from coaches like Alister Russell, Matt Randall and Nico Lebrun and help the girls out. Being part of a team is so much more than just wearing a kit and begging for free stuff. 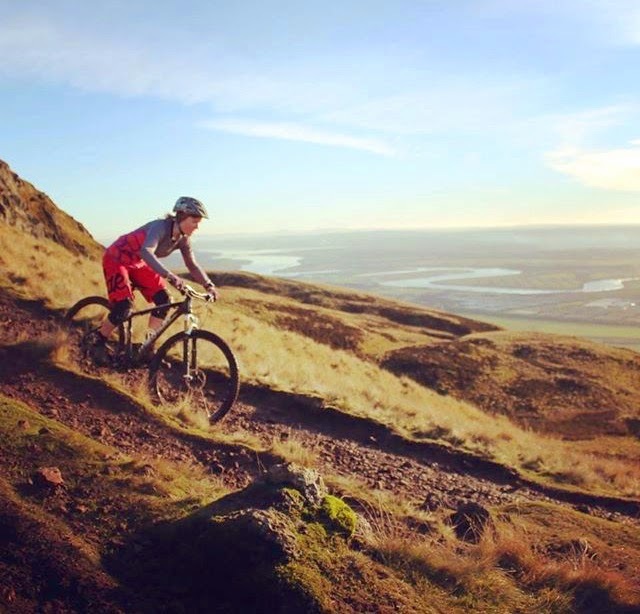 I had missed the team spirit since leaving MarathonMTB where I myself learned all about racing from experienced riders like Mike Blewitt, Imogen Smith, and Graeme Arnott. It felt good to be able to pay it forward. With the last race of the Bowhill Duathlon series coming up it was going to be my chance to get my competitive edge back and Nico wanted me to fight for the podium. When I told him not to underestimate the level of the girls racing he replied “When I am on the startline I dont care if the fastest runner in the World is lining up next to me, I still believe I can win” an attitude I for sure have to work on!! Unfortunately I slipped on a patch of ice two weeks before the event injuring my back which saw me bedridden for a few days. I needed to finish the race in order to get the points for the overall classification over the series in which I was coming 3rd. It was really important for me mentally to finish the Bowhill series therefore I decided I would race, knowing I probably had to walk parts if not most of the run. Race day arrived and the day before I managed an easy jog which gave me confidence enough to start, I felt ok enough on the bike. Michael and Fynn came along for moral support and it was great to run into my Organicoach teammate Rory Downie in the morning. The adventure show was there filming everything therefore I decided to wear my Flare kit including the baggie shorts to hopefully get a glimpse of the cool MTB clothes broadcasted on TV. The baggies are not the most ideal shorts to run in but I knew I it was going to be a slow one for me so at least I looked good whilst doing it!! I was pretty relaxed about it all and for the first time I managed to nail the start. I could not believe what a difference it made having clear ground on the first climb and to my surprise I had the ever so speedy Rosemary Byde in sight. I kept just a few meters behind her climbing up, very happy to be able to ride at her pace. Everything was going well until I missed a corner coming down a hill going left instead of right. I lost momentum turning around and going up the hill and then with a big bang my bike had a melt down. I thought I broke my chain but luckily that was not the case, it got jammed again like last time at this event! Something I need to sort out! Whilst I was fixing the problem Lizzie Adams had caught up to me and I decided to stick with her but not hurt myself chasing back to Rosemary. I very much enjoyed the last part of the course with steep muddy single track and it made me realize how much I had improved technically on the MTB! Shredding around tight corners and balancing over drop offs I was loving it! I rolled into transition just behind Liz and on to the run, I knew my race was over and it was just a matter of keep on moving trying not to slip too far backward in the field. Even without injury it would have been a brutal run with a lot of ducking trees and jumping over logs and very steep uphills. It was actually quite nice to be very relaxed about it all and I was making a few new friends along the way. Durty events were responsible for the start of a lot of new friendships which was credit to the friendly ambiance the organizers radiate. Prove of this was the lovely Lizzy Adams coming up to me post race saying she had been looking out for me for a while at events. 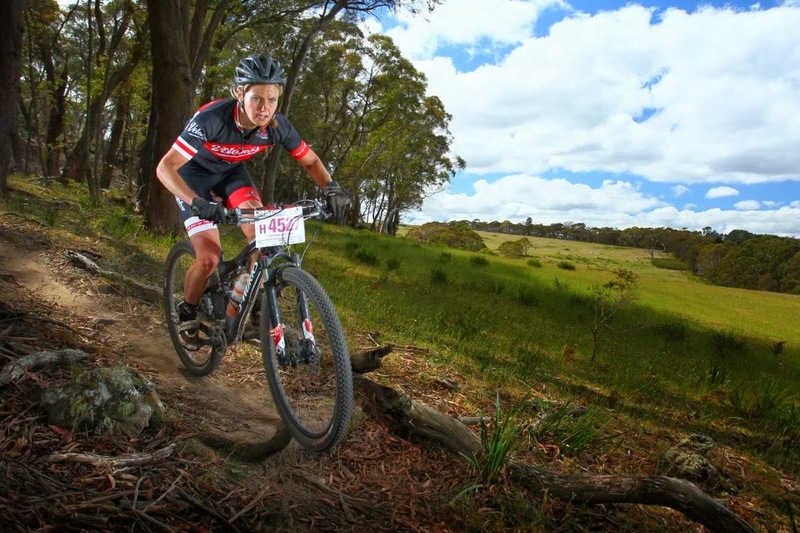 Liz combines off road triathlon with MTB races as well so I am looking forward to running into her at upcoming races. As she is based in Glasgow I am secretly hoping I have found myself another female training buddy as well!! To be able to finish the run whilst still running was more than I expected and I had to be pleased crossing the line still having a smile on my face. Michael was relieved I did not injure myself any further and with Kirsty Macphee missing in action I managed to climb up to 2nd place in the overall Bowhill Duathlon series rankings. The race was again won by adventure champ Rosemary Byde with Caroline Wallace in 2nd and Elizabeth Adams in third place. Rory Downie smashed the male field showing he is ready for a strong XTERRA season ahead and it was great to catch up with him on all the gossip after the race. 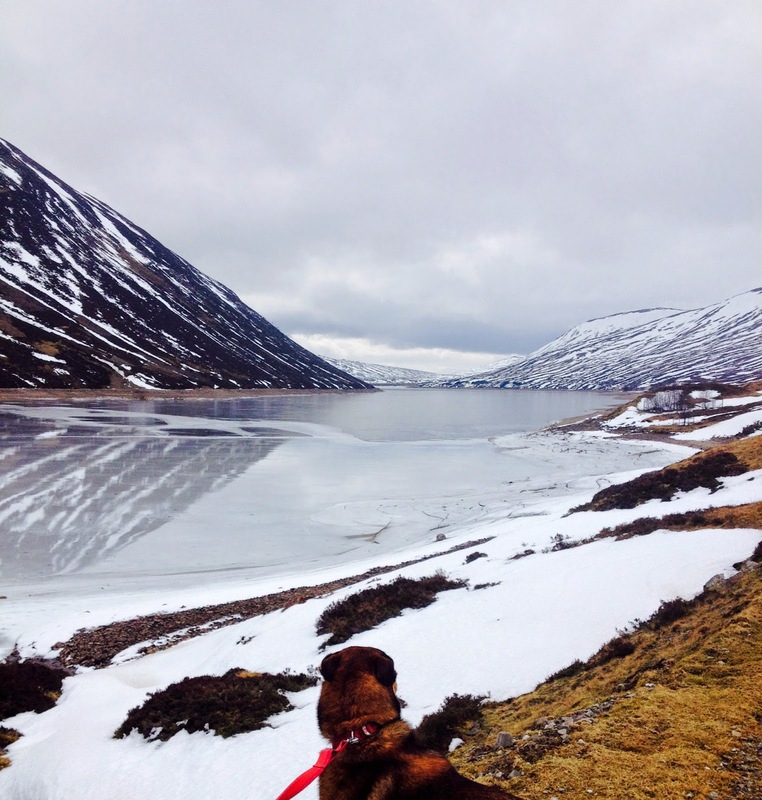 With the days getting slightly longer and Scotland slowly warming up (if it ever does!) it is time to get more serious about my training. Durty Events definitely have a way of sparking that fire up again! Next stop the first race of the Scottish XC MTB series, where I will be racing alongside Flareclothingco teammates Kath Simpson and Kerry Main, and cheering on my Organicoach teammate Rory Downie. Racing with friends, I have learned the last year that for me that’s what I enjoy the most.